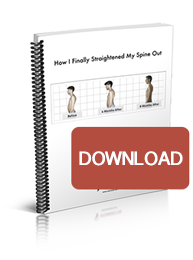 1) How much time is needed to complete the balancing of the body posture? That depends on the seriousness of the imbalance, on age, on the general state of physical health, and on the compenasation which has been created over the years. Therefore balancing can last for between a year in simpler cases and ten years in more complicated cases. In between a balancing can last for two or three years. For example, an athlete, who already enjoys an upright posture and a responsive body, can have improvements to both posture and performance much faster. On the other hand someone with scoliosis with a curvature of 15° to 20° can take as much as four years. 2) Why the method create a space between the teeth ( between molars and premolars)? The skull rests on the jaw. The ‘Rectifier’ acts as a pivot and by its thickness makes the jaw work like a lever. As a result the skull is pushed into an ideal physiological postural position, stretching the spine as a consequence. This means that the skull changes its slope in relation to the jaw and is raised in the premolar and molar zones to an extent proportional to the non-extrusion of these teeth. The lack of dental height is caused by the non-extrusion or sinking of the molar and premolar teeth. The space which is created between the dental arcs is in proportion to the dental height which is lacking in the individual mouth. Anyway, you can choose not to create a space among teeth following a soft approach (wearing the Rectifier between 4 and 10 hours a day). 3) At the end of the process, how do I supply the space between the teeth? At the end of the balancing, the space between the teeth can be supplied by a number of different techniques. A (removable) ‘splint’ can be made which reproduces the teeth or other dental prosthetics are used which can be both fixed and removable. This is work which can only be completed by a dentist, and so it is necessary to go back to him. 4) Do I always need to wear the Rectifier? It depends on the results you want to achieve. If you want huge results than you have to follow a hard approach (wearing the Rectifier between 16 and 22 hours a day). By following the hard approach you will create space among teeth. Otherwise, if you don’t want to create space among teeth you have to follow a soft approach (wearing the Rectifier between 4 and 10 hours a day). 5) Once space is created between the teeth how can I manage to eat? 6) Could you list the components of the rectifier resins? They are all non-toxic and hypoallergenic materials – dental resin, titanium, biocompatible and thermos-moldable plastic. 7) Does the rectifier clip or glue into place? I am just imagining how I will talk and eat? The Rectifier is a removable appliance and it does not glue on the lower arch teeth. It clips into place. You can eat without the Rectifier. If there is any space between teeth you can use the Rectifier to eat. It’s up to you. 8) Is the Rectifier visible when talking to others? If someone pays attention to your mouth the Rectifier can be visible. But in general, people do not see the Rectifier. 9) What’s the difference between a dental splint and the Rectifier? The Rectifier is different from common dental splint because we apply our method to it. 10) Who makes the Rectifier? We will build the Rectifier for you, then we will teach you how to adjust the dental splint. By this way, you will have the Rectifier. 11) Can I play sport during the Balancing? It depends on your situation. Some people play a sport (swimming, bodybuilding…), but other people do not play any sport. You will understand that by yourself. 12) I have all of my wisdom teeth pulled. Could the Starecta Rectifier still work for me? 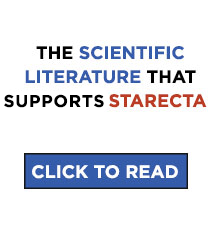 Yes, of course, Starecta doesn’t need wisdom teeth to work properly. 13) Does a person need to have the Rectifier in the mouth 24/7? You can choose to follow the hard or the soft approach. 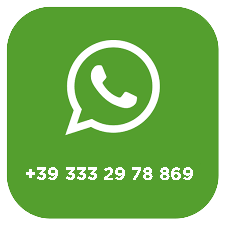 If you want to get huge results and create space among teeth you have to follow the hard approach (wearing the Rectifier between 16 and 22 hours a day). If you don’t want to create space among teeth you can follow a soft approach (wearing the Rectifier between 4 and 10 hours a day). It does not matter whether you wear it during the day or at night: the important thing is that you wear it for at least 16 hours in a day (hard approach) or for at least 4 hours a day (soft approach). It is not necessary that these hours are consecutive – it is enough that they are cumulative. However, it is important to remove the Rectifier and rest in case you are tired. 14) How does a person going through Starecta treatment eat? Does he/she take out the bite planes while eating? 15) How can I do in case I need to speak in public? You will be given a little box where you can easily put your Rectifier. 16) Will the result over time, in addition to all the many benefits, be an increased gap between the teeth? People with serious issues of kyphosis and lordosis that follow a hard approach (wearing the Rectifier between 16 and 22 hours a day) can see an increased gap between the teeth. 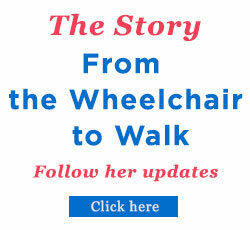 17) Ilaria (the woman on your webpage) has been treated by the Starecta method. Did her teeth make contact before she started treatment? Yes, they did. Before the treatment began, her teeth made contact. 18) Do Ilaria’s teeth make contact today? How do her teeth look when she smiles today? 19) Does Ilaria walk around with a bite today? Does she still wear it at night? Ilaria does not wear any bite during the night. 20) Will all the benefits of the Starecta Rectifier bite come with the one downside in that there will be a big gap between the teeth when the bite is not there? Yes, the benefits can go downside, if you take off your bite and allow your skull to close the created gap (if you followed a hard approach). In fact, the skull starts to press again on the spine, thus regenerating all the pressures, which had been eliminated thanks to the Starecta bite. 21) What do you think about the importance of resting tongue posture for skeletal development? It has been observed that when wearing the Rectifier our tongue automatically goes into the ideal position. This helps the skull development and also improves the support operated by the tongue on the skull. 22) Is there any how to? Together with your Rectifier, you will receive the English video tutorials, which explain how to easily activate the Rectifier in 5 minutes. 23) Is it for bottom? The Rectifier must be used in the bottom arch. 24) Would this benefit someone who has Dystonia issues? 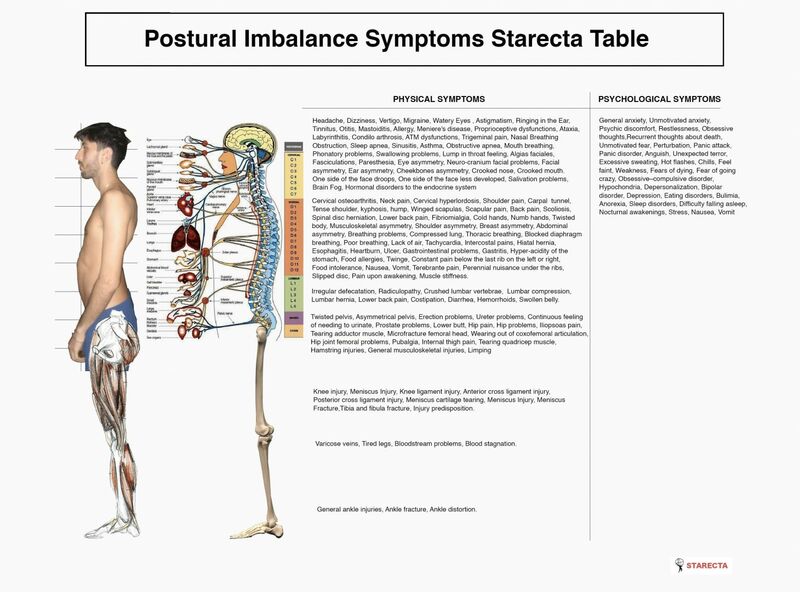 Starecta was first created to balance the body by realigning skull, mandible and spine. It may benefit also those who suffer from Dystonia issues. 25) Does the omega loop have any purpose? Or is the wire just for holding both pieces? The bight (omega loop) is needed for a better flexibility of the Rectifier in the stage of adjustment of the dental arch. Moreover, this particular form, applied to the titanium, makes it moldable, therefore the Rectifier helps the palate to expand during its balancing. 26) How do you talk with the Rectifier in? Some weeks are necessary in order to learn how to speak while wearing the Rectifier. 27) How can you expand upper arch with the Rectifier? The mandible can normally move in the space in every direction. During lateral movements that occur during the balancing, the mandible pushes the dental upper arch outwardly. The Rectifier bite keeps these movements tight in steady occlusion, preventing the teeth from slipping on each other. For example, in order to improve a counter torsion, the skull literally comes unscrewed on the mandible; this latter creates a resistance that discharges on the teeth. That is how a lateral movement during the balancing makes the upper dental arch wider. 28) How do I send my dental samples? You do not need to send any dental sample. The bite is standard and is activated in 5 minutes. 29) How many updates do you need as a minimum in the year? You need to do at least 24 changes in a year. Every 15 days an update is needed. 30) What are the options to repair space after the rectifier adjustment? Crowns? Retainer? Other? You must address any dentist, who can create for you normal dental rises, in order to avoid losing the created gap. If you don’t want to create space between teeth you should follow a soft approach (wearing the Rectifier between 4 and 10 hours a day). 31) Will this fit my small mouth? Yes, the Rectifier plug and play is adaptable to any kind of mouth. 32) Do I need to heat this before I wear it? 33) Will this create an opening of my front teeth while wearing this? Yes, it will create a little gap from 3 mm to 10 mm between front teeth. 34) What is the difference with the old method? Is there any change in the way it works? There is no difference with the old method. The Rectifier plug and play, different from the handmade Rectifier, is activated and changed by simply putting it into hot water. 35) Does it create a flat surface for teeth/jaw to move freely? Does it work like a modified Gelb? When modified, the Rectifier does not have a flat surface anymore, and the mandible does not move freely. It has nothing to do with a Gelb, which is completely useless. 36) I’m missing four molars tooth on the left side of my mouth. Can I still use it? No, with missing 4 molars you cannot wear the Rectifier. You need to have a plant done by a dentist. 37) How to measure sizes? There are no measures to regulate; the only size is standard for everybody. 38) Does this include ALF? The Rectifier plug and play is different from the ALF, since it expands the palate in a more natural way. 39) Can you re register different bites with these? You can register your occlusion unlimited times, simply by putting the Rectifier into hot water. 40) What’s the durability of this new splint? If you do not break it, it can even last up to 10 years. 41) What is the material you use? 42) Does the new method makes the old method redundant? There are no new and old methods. The method is always the same. What is different is the way to use the Rectifier. The Rectifier plug and play is easier to use. 43) If I have an underbite can I use the Rectifier? 44) After starting to use the rectifier, it is necessary to wait sometime before beginning to do exercises such as push-ups, for example? You can immediately do any kind of exercise, soon after wearing the Rectifier. You do not need to wait. 45) Will Starecta still be effective if the neck muscles are in constant spasm (always tight)?